Advantage Ford is here as your Southern California Ford Dealer In Duarte is here to offer you the lowest prices on every Ford in stock. Check out our inventory online and let us know how we can help. Duarte sits at the edge of the Los Angeles Basin, with its back up against the San Gabriel Mountains and the National Forest. It’s one of the smallest of all the cities that surround Los Angeles, with a population of only about 21,000 people. But that doesn’t mean there isn’t much to do or see. US Route 66, also known as the Mother Road or the Main Street of America passed through the center of Duarte for the term of its existence from 1926 until it was decommissioned in 1985. To commemorate the famous highway and what it meant to so many Americans the town holds an annual Salute to Route 66 Parade on the third weekend in September on Huntington Drive. What better to drive to a parade than a 2018 Mustang GT Premium Convertible? Fish Canyon Falls is beautiful three-tiered waterfall that drops over eighty feet in a canyon in the front range of the San Gabriel Mountains in Duarte. Early spring is the perfect time to visit the dynamic waterfall, when the water flows well and the canyon is green. Access is first through a quarry and then up into the mountains. The total distance for the hike to Fish Canyon Falls is 4.8 miles round trip with 650 feet of elevation change. Despite the unusual beginning, Fish Canyon Falls Trail is an excellent hike in the San Gabriel Mountains, leading to one of the range’s most beautiful waterfalls. A great way to get up close to the trail head is in the new 2018 Ford EcoSport SES Crossover SUV with its Intelligent 4WD. The 12,000 square foot Duarte Skate Park offers 300 linear feet of steel rail for sliding and 200 linear feet of grind edges that mimic urban elements. Other features include a seven-foot long spine and rollover combo and 48-inch high stairs with rail. The park features two bowls, six-feet deep and eight-feet deep. A unique aspect of the park is the six-inch wide metal grind edge on the boxes. If you’re the designated driver and snack provider for an outing at the Skate Park consider a Ford Transit Connect. With upright seating it can carry up to seven passengers. The third and second rows fold flat for tables, coolers, or anything else you need to haul. While the name is The Justice Private Automotive Collection, it’s open to the public, Monday through Friday. But if you can arrange your schedule accordingly, it’s worth the trip because the Justice family has about 100 cars of interesting vintage. The collection consists largely of Sprint and Midget race cars ranging from the 1920s and 1930s through the 1960s and 1970s. You’ll visit cars there that some of the biggest names in racing drove when they were working their way up to ladder to reach the Holy Grail or racing, the Indianapolis 500. While it’s unlikely the museum will let you take one of their cars and slide around in the dirt, a 2018 Ford Focus RS is up to the task with its rally-inspired AWD system. While small is both area and population Duarte has a great deal to offer, whatever your interests. 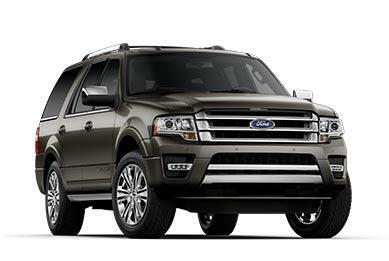 The best way to discover them all is behind the wheel of a new Ford car, truck, or SUV. Come on down to your local Southern California Ford Dealer, Advantage Ford, and let their expert sales staff assist you in selecting the Ford that’s just right for you.